Former Boston University Dean of the College of the Arts and Sciences Ann E. Cudd is succeeding Patricia Beeson as Pitt's new Provost. 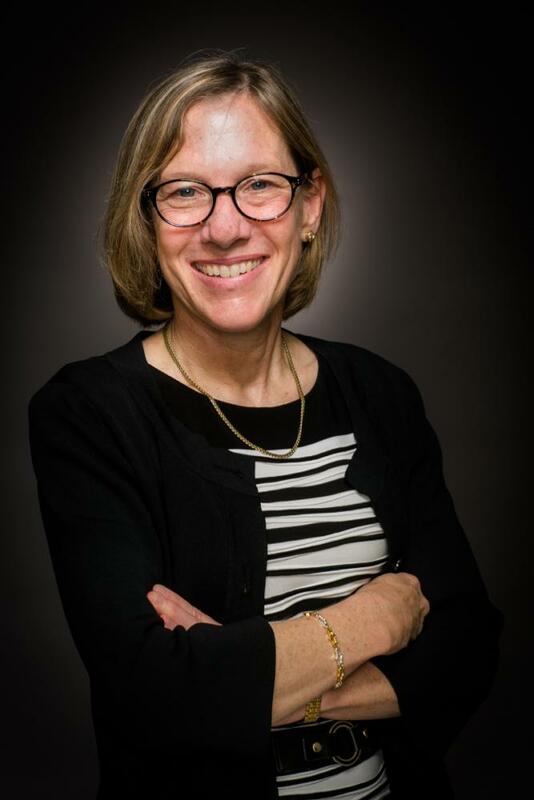 The Pitt Board of Trustees appointed former Boston University Dean of the College and the Graduate School of Arts and Sciences, Ann E. Cudd, as Pitt’s new provost Friday, June 29. The board also inducted five new trustees, including President and CEO of the Pittsburgh Penguins David J. Morehouse and re-elected former PNC Executive Vice President Eva Tansky Blum to serve as chairperson of the board through 2022. Cudd holds three degrees from the University of Pittsburgh — a doctorate in philosophy earned in 1988 and master’s degrees in philosophy and economics from 1984 and 1986, respectively. Before working at Boston University, Cudd worked for 27 years at the University of Kansas. She became a university distinguished professor of philosophy and worked as vice provost and dean of undergraduate studies, director of women, gender and sexuality studies, and associate dean of humanities during her tenure there. She’s also written two books, titled “Analyzing Oppression” and “Capitalism For and Against: A Feminist Debate,” co-authored with Nancy Holmstrom. Cudd said she prioritizes hiring diverse faculty in her role as provost. “Particular places in which diversity needs to be enhanced includes racial diversity, hiring African Americans, Latinx people and Native Americans,” Cudd said. She specified that socioeconomic, gender and diversity of sexual orientation are important to her as well. Shelby Dawkins-Law, a first-year doctoral candidate who studies recruitment and retention of minoritized graduate students, said she was excited by Cudd’s academic background. Cudd also wants to promote scientific work in her role as provost. “When I got into administrative work, my passion was helping faculty and students make world-changing discoveries,” Cudd said. She mentioned research into CTE, blockchain technology, machine learning and climate change from her time at Boston University. Cudd declined to take an explicit stance on the graduate students’ multi-year campaign to unionize, saying that she would have to “wait until we get [to Pitt]” to discuss it. She did, however, offer tentative support for higher wages for graduate students. “I’m always in favor of graduate students having higher stipends, better benefits and protections against sexual assault,” Cudd said. Cudd declined to comment on Fossil Free, Pitt’s multi-year fossil fuel divestment campaign. “I’ll have to wait until I’m [at Pitt] to talk about that,” she said, saying she didn’t know enough about the issue to comment. She was, however, supportive of the University’s recent move to rename Parran Hall. Vice Chancellor for Economic Partnerships Rebecca Bagley said that she is also optimistic about working with Cudd. “I’m personally excited about it because she has a very strong academic background and she’s read the Brookings report,” Bagley said. The Brookings report is an 18-month study titled “Capturing the next economy: Pittsburgh’s rise as a global innovation city.” It details plans for a technology-based Public-Private-Partnership called InnovatePGH and for the creation of an Oakland Innovation District in partnership with Carnegie Mellon and UPMC. The trustees reelected former U.S. Steel Corporation Vice Chairman and CFO Robert Hernandez and Manchester Bidwell President and CEO William Strickland Jr. to the UPMC Board of Directors for the next two years as well. They also split the role of the university chief investment officer-treasurer into two separate jobs. BJC HealthCare CIO Gregory Schuler will become the Pitt’s new chief investment officer and former Pitt Assistant Treasurer Paul Lawrence will become Pitt’s new treasurer. Gary T. Brownlee — alumni trustee, business adviser for the Indiana Small Business Development Center at Purdue University Northwest and co-founder of New State Mortgage, LLC. Vaughn S. Clagette — term trustee, physician at The Southeast Permanente Medical Group in Atlanta. David J. Morehouse — special trustee, president and CEO of the Pittsburgh Penguins. Michael G. Wells — special trustee, managing director of Princeton Biopharma Capital Partners, LLC. Marna Cupp Whittington — special trustee, director of Oaktree Capital Management and a director of Macy’s Inc. and Phillips 66.